An investor seeking capital gain for lower risk will always turn towards Mutual Fund schemes as an investment option, reason being its diversification and professional management. However to identify a dynamic fund is not that easy. The best schemes are not only the best in returns, but the one best suited to investor’s risk tolerance limit, requirement and is good in its peer group. 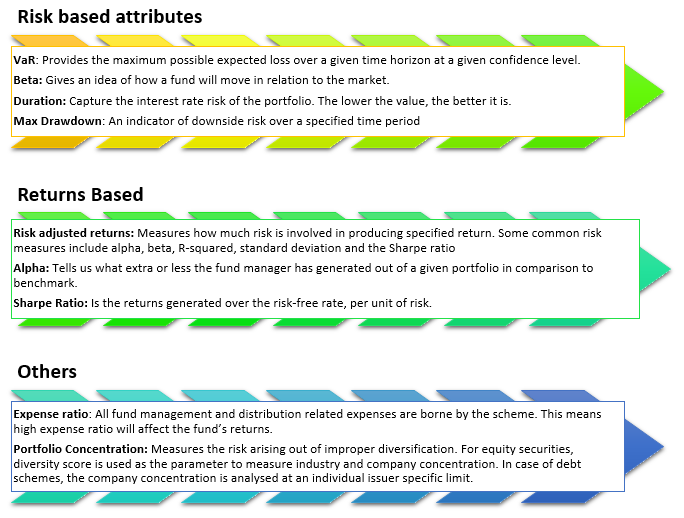 G-Square’ s has a proprietary model to evaluate mutual fund schemes for selection & ranking purposes. The evaluation methodology is based on combination of qualitative and quantitative attributes. The model provides a detailed analysis by taking into consideration key parameters such as risk adjusted returns, industry/company concentration, AMC’s performance etc. It covers all the asset classes and assigns relative ranking to schemes within a peer group.